Talking about indefinite concepts can be tricky in a foreign language, yet indefinite adverbs are rarely covered as a specific topic in class. Instead, students tend to pick them up randomly here and there as needed. I think it’s more helpful to consider them as a group. 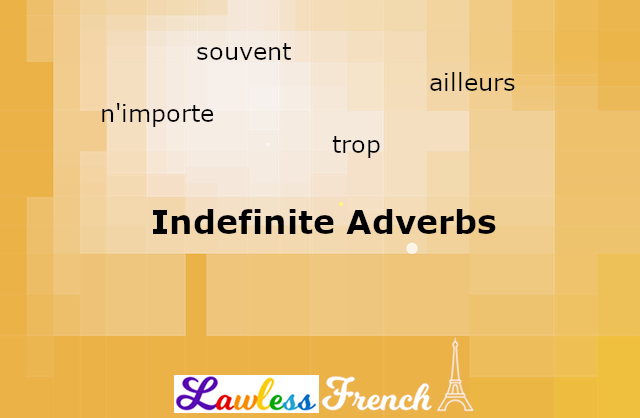 This is a list of English indefinite adverbs with their French translations; many of the latter are actually adverbial phrases. Many of these terms are conjunctions as well, but the translations given here are only for adverbial meanings and usage.